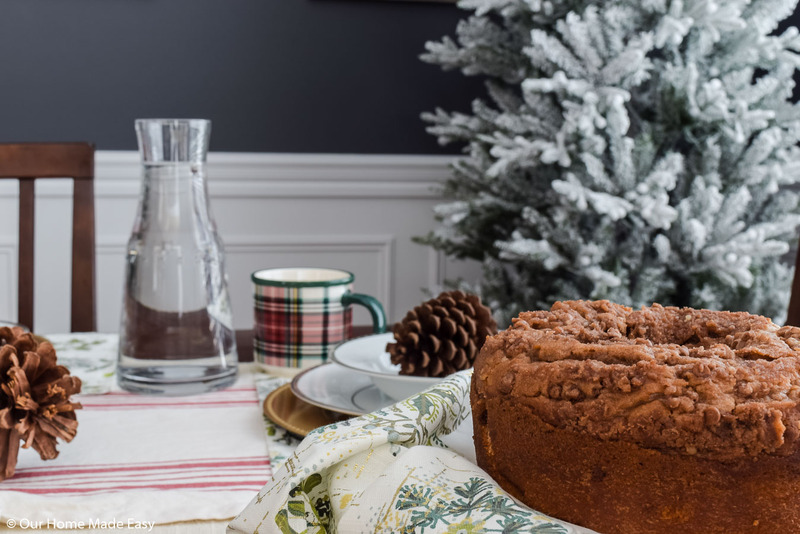 Here is everything you need to know on how to plan Christmas breakfast. Keep it simple & no-fuss with a simple plan! 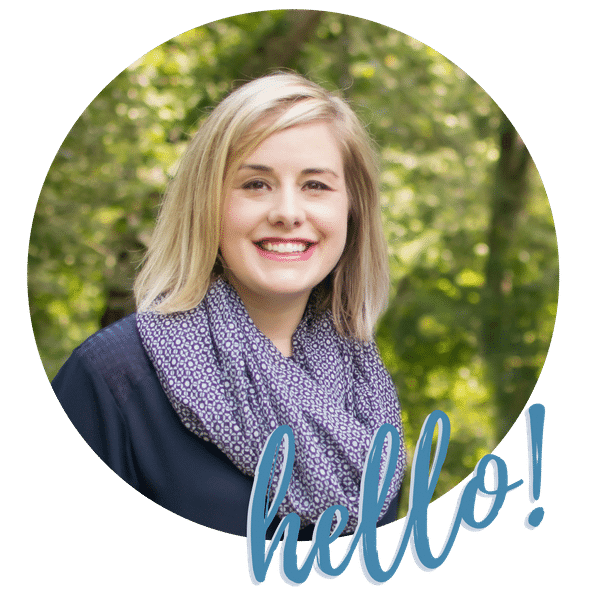 Download the free planner at the end of the post! My Pinterest feed is full of beautiful Christmas decorations and organization ideas and I’m over here thinking about Christmas breakfast. The important stuff, right? This year on Christmas morning it will be the four of us and my mother in law. Since she is staying with us, we’ll likely make our favorite breakfast casserole and maybe sneak in a sweet dish to keep things interesting. 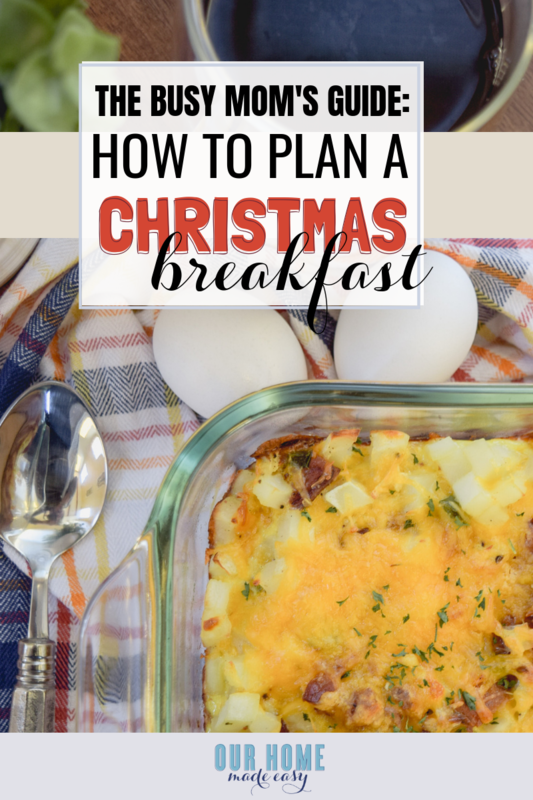 If you are wanting to make a special Christmas breakfast, but want to do it in the least no-fuss way possible, I wanted to share my favorite tips for how to make Christmas breakfast easy! First, give yourself some grace. Everyone will be so busy opening gift, laughing, and generally having such a great time that this is NOT the day you need to ‘nail’ it. 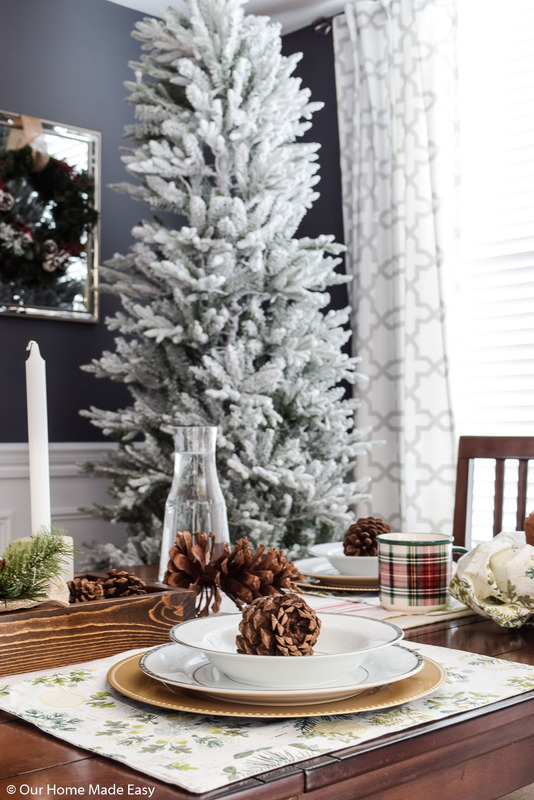 Now that we’ve talked yourself into agreeing that it’s best that everyone has a full belly over a perfect table setting, let’s get started on my favorite tricks for keeping Christmas breakfast easy! — Do as much cooking ahead of time as possible. No one wants you to miss family time, on Christmas morning! Use the Christmas Breakfast planner at the bottom of this post to help you avoid cooking as much as possible. If you’re feeling like you don’t know where to start, I’ve included several recipes below that are easy, savory & sweet, and totally make ahead! Yay! — If you have a make-ahead Crock Pot dish, plan to start it late Christmas Eve. Not only will it be bubbly hot when you wake up, but it will make your kitchen smell amazing. Not a bad way to start Christmas! — Don’t try a new recipe. This may be unpopular, but unless you’ve made a recipe before, Christmas morning is not the time for something to turn out extra done, under-baked, or downright awful. If you find some recipes, give yourself an excuse to make them the week or two before to make sure you actually like them. — Let the pros handle it. Do you have a local bake house who makes the BEST muffins or pastries? Order ahead of time for a Christmas Eve pickup. They’ll be able to tell you what will taste the freshest Christmas morning, or what needs to be reheated. No one says you have to do it all! — As soon as you wake up, preheat your oven for any casserole dishes. 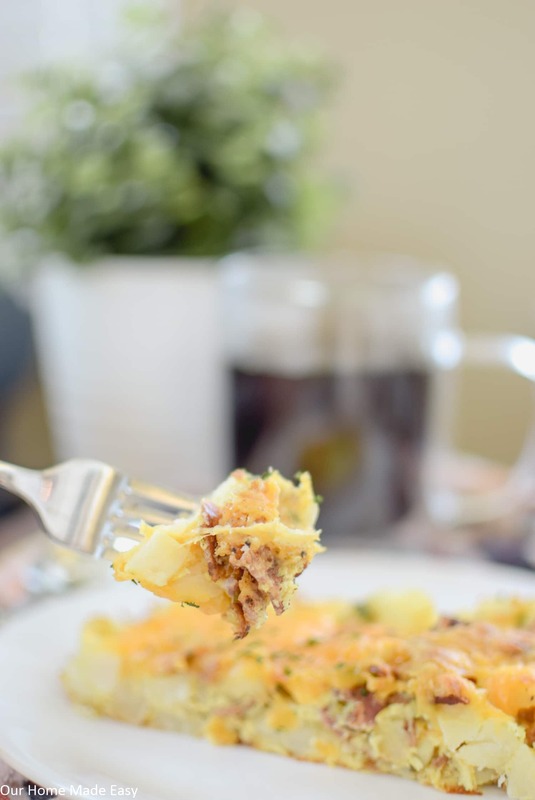 Pull the casserole out of the refrigerator to let them warm up a bit while the oven is preheating. When you’re ready to start thinking about breakfast, the oven will be waiting for you. — If your family loves options, plan for a fun waffle, egg, or even yogurt bar. The best thing about these bars is that you can pre-slice, chop, and prep all the options in the days leading up to Christmas. Pull it out onto the kitchen counter, buffet, or dining room table, and instantly you have a really fun theme! — Before you accidentally overwhelm yourself, consider how many people you are going to have at breakfast. If it’s just your immediate family, think about why they’ll really eat and have it ready on the table. You can add in a warm casserole for yourself, but don’t plan for 3 hot dishes, when that is simply what everyone won’t eat. — If you have a breakfast loving family, prepare to plan for one bread, one savory dish, a sweet dish, and optionally, a fruit/yogurt. If you have extra guests, consider adding one more of any of those options. — Make your bread option a little fancier by buying a sweet bread or an extra thick sliced bread. If your family loves English Muffins, consider making apple butter ahead of time for a nice touch that requires almost no effort on Christmas morning. — Make sure that your coffee pot is ready to go on Christmas Eve so that all you have to do it hit ‘Brew’ and be 10 minutes away from a hot pot of delicious coffee. 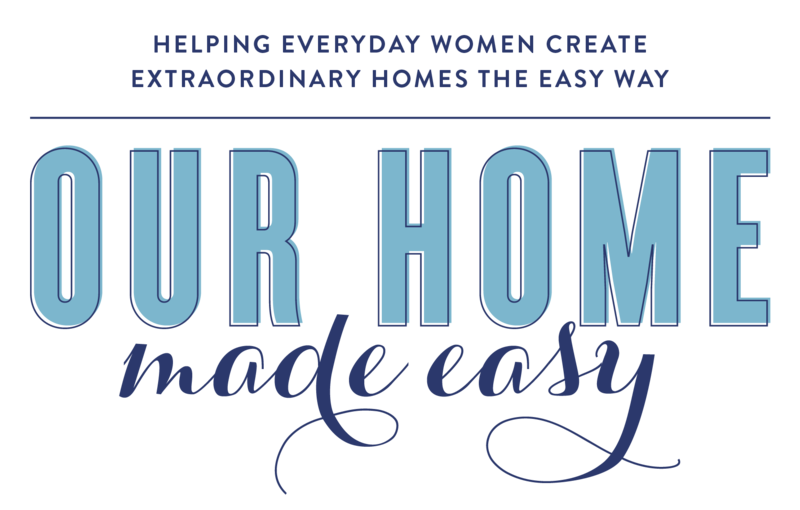 Want to make it extra special? Buy a pound of a flavored coffee / special coffeehouse brand that you wouldn’t normally spend the money on. It’ll be your own treat that could last a few days. — Set your table up, Christmas Eve! 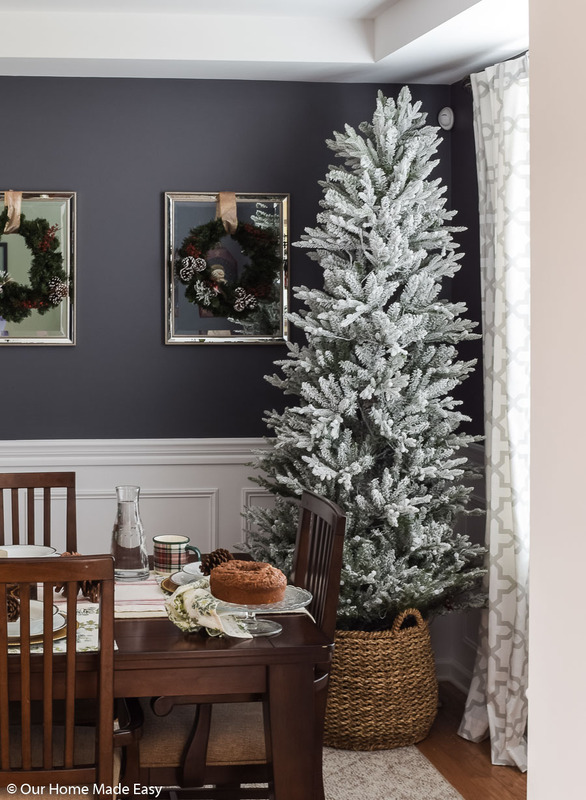 I talked a little about this in our Christmas Dining Room home tour. Whether you use your best China, or the kids’ plates, skipping the 5 minutes of gathering plates & setting the table is totally worth it. Imagine sitting down at your dining room table and it feels like a restaurant. Plus, you can use this as an excuse to pick up fun & cheap festive Christmas plates for the kids. Don’t forget to set out any trivets for casseroles or serving spoons. If you have space, set up your toaster in your dining area so that you aren’t running around. The same with drinks. Can you bring the milk, orange juice, or coffee near the table? Big glass carafes are beautiful, but if you aren’t having guests, skip the extra pour & dishwashing. Bringing everything to the table before you sit down will save you lots of time back & forth. It’s okay to make your table really full. Tis the season to appreciate that we are surrounded by family, food, and hopefully, a nice time together. — If you really want a ‘put together’ breakfast table, consider using all white dishes and platters. The reason why this works? Because none of it needs to match. You can stop by Goodwill, or another local thrift shop, and pick up a few white dishes & serving platters. Mixing & matching textures will make everything interesting and not boring at all. Plus, who cares if a plate accidentally breaks? You can find new treasures during your next thrift shop run. Are you always unsuccessful at finding great finds at thrift shops? Consider these really affordable pieces or stop by Home Goods. You can always find something bright white & perfect there! 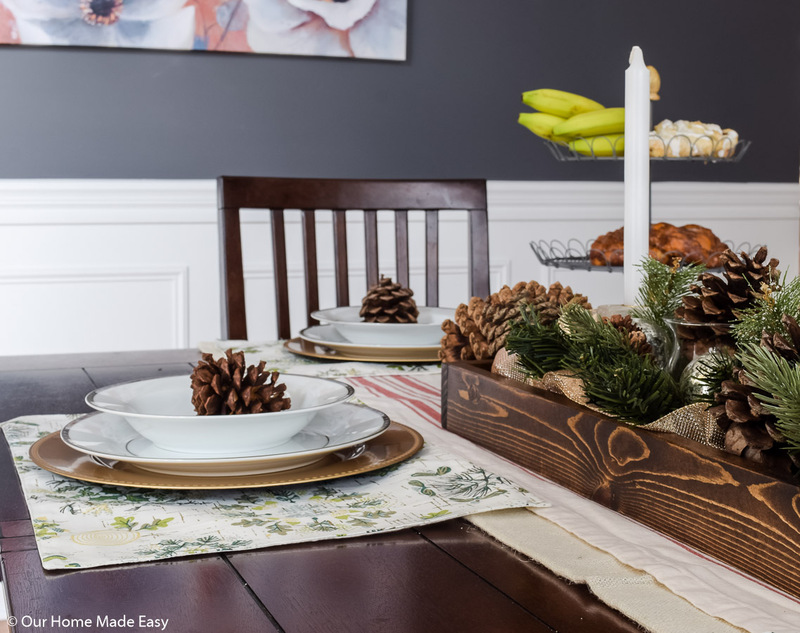 — Make your table look a little more special by tossing on table cover or runner. While you can find some great options at Target, you could always wash one of your scarves and use it as a table runner. I really liked how my friend Abby used her scarf for a table setting. If you already have several pretty scarf options in your closet, choose those over buying new! — Let your baking dishes pull double duty as serving dishes. During the week, I rely heavily on my Pyrex 13″ x 9″ casserole dishes. However, on the ‘big days’ aka, Christmas, I’ll remember to use my ceramic casserole dishes that are super pretty. They don’t take any additional time to cook and they make my recipes look just a little bit fancier on the table. I like both the colorful dishes & white ones. You can’t go wrong with adding color or keeping it all monochromatic. 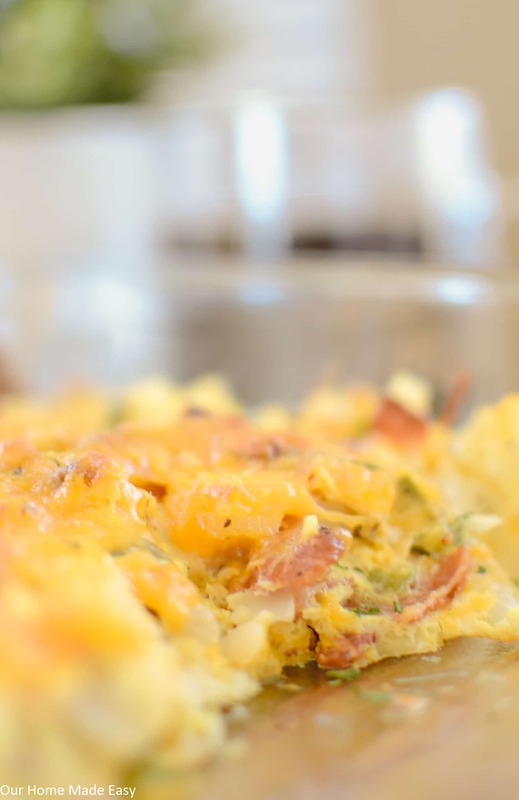 Cheesy Potato Breakfast Casserole — Make this easy breakfast casserole recipe with either bacon or sausage! 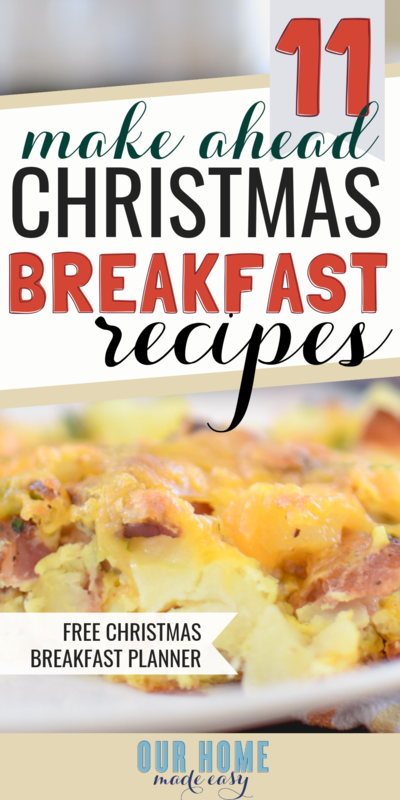 It’s the perfect make ahead of time, Christmas breakfast recipe or any day when you want something warm! Time-Saving Sheet Pan Eggs — Whether you are making breakfast for the week or feeding a crowd, these Sheet Pan Eggs will help you save time in the mornings. Make them ahead of time and reheat them before serving! Easy Crock Pot Apple Butter — Serve this apple butter with thick cut store-bought bread or English Muffins. 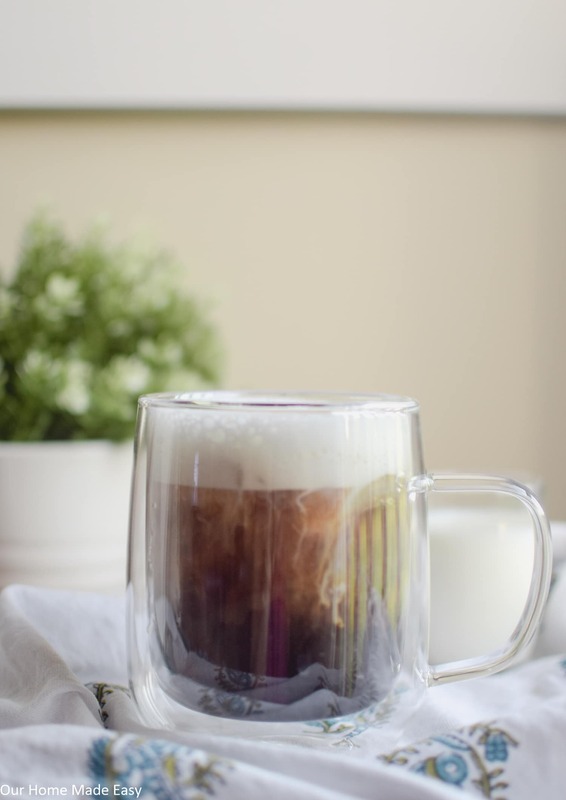 You can serve it right out of the mason jar with a fun spoon. The best part? You can make it several days ahead of time. It’s a nice touch, but without much work! Cinnamon Roll Breakfast Casserole — With only 5 ingredients, you can whip this up in no time! 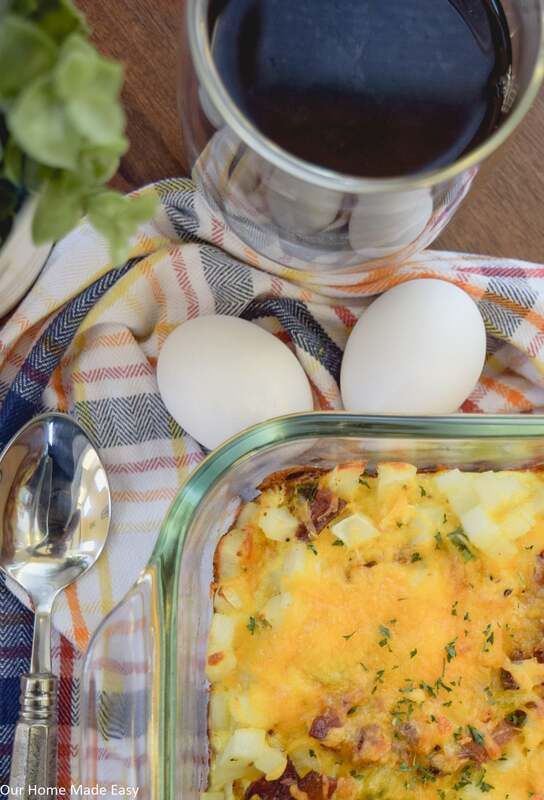 Farmer’s Market Overnight Breakfast Casserole — This casserole looks great for making a colorful dish & sneak in some veggies when no one is looking. I’d include your favorite veggies to make it just right for your family. Blueberry Strawberry French Toast Casserole — Elevate French Toast with this beautiful dish! If you have a little bit of extra time one night, make-ahead the blueberry topping and warm it up Christmas morning. So good! Overnight Sausage & Egg Breakfast Casserole — Make this Sausage and Egg Breakfast Casserole recipe to feed a crowd. It’s loaded with sausage, egg, and cheese for a hearty breakfast. Prepare this easy breakfast recipe the night before and impress your guests. Easy Overnight Cranberry Eggnog Oatmeal — Have someone who loves their oatmeal? Impress them with this dish that does all the cooking overnight! Blueberry French Toast Bake — You can make it the night before and throw it in the oven when you wake up for gifts. Cranberry Orange Muffins — Love homemade muffins? Make these a day or 2 ahead of time and make your entire kitchen smell so yummy! Overnight Praline French Toast — Impress everyone with this dish! If you have a sweets lover, this would be the best recipe! 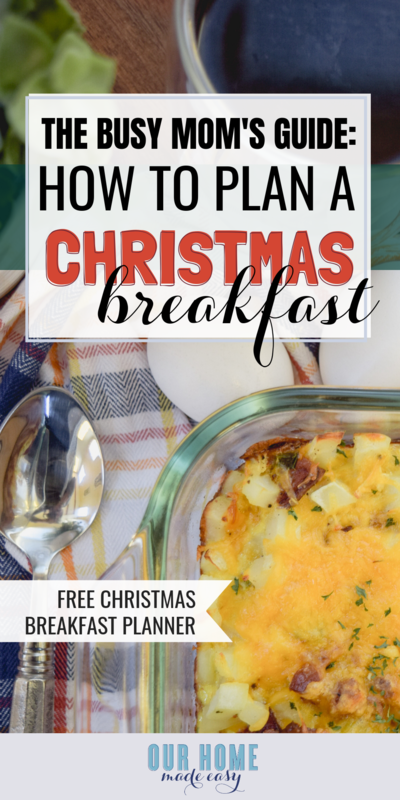 I hope that this helps you on how to plan Christmas breakfast the easy way! Remember, your family won’t remember how perfect everything was, they’ll just remember how each year, you all got together for a few minutes to start the day. 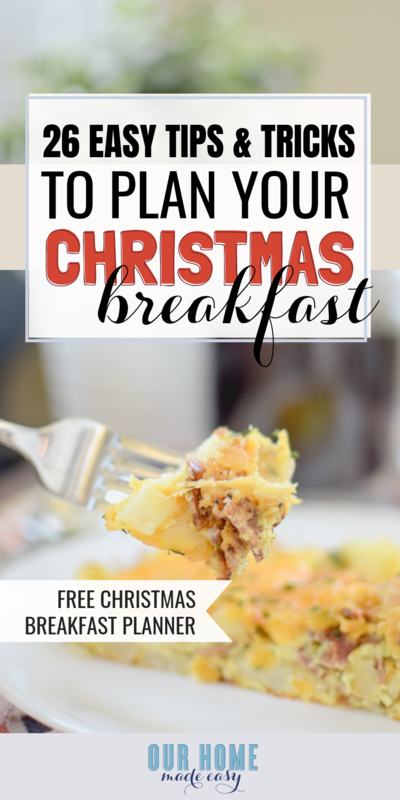 GET YOUR FREE CHRISTMAS BREAKFAST PLANNER HERE!